Ms Castrodale has a quick-step style about her historicals – Marion Hatley is so light and airy on the page – she has a strong personality but no overtly so, it’s simply you know Marion as soon as she’s inside your view because of her she presents herself. No-nonsense but also, with an insight about life in ways your not truly expecting her to depart to you – she’s owning her life’s choices but she’s mindful of the hope of second chances; to turn things round even when they feel as though they’ve shifted out of control. It’s a unique set-up really – to help out an extended part of your immediate family, re-settle outside a city you loved living and finding along the route towards your own happiness more insight into your personage than you ever felt possible – this is the joy of reading a Historical by Ms Castrodale! Another debut novel I was most keen to read and wickedly surprised about how it settled into my imagination is Marion Hatley, as on a similar vein to Bitterroot, Hatley excells at taking you a bit off-guard and giving you a very realistic story-line to hug inside! The characters are so wholly full of depth and centreing on their individual journeys, it’s hard to put the books down! In Ms Castrodale’s case, what endeared me the most to Marion is how despite her unconventionalism, she truly wanted to find happiness and carve out a niche of joy for herself where living wouldn’t feel as arduous as it sometimes had become. This is a special find and one I am thankful I had the pleasure of crossing paths with as it has all the lovely elements I seek in a Historical with the added benefit of everything I hadn’t realised I wanted, too! Do you also find debut novelists can give you such a wicked good read, your keenly interested in what they will release next which gives you a second reading of further readerly blissitude!? When it came time to sort out how to host my own #unboxing, I went back to basics and really wanted to give a visceral experience to my readers, followers and visitors – to find a way to give the experience of ‘opening’ the book parcel to ‘them’ whilst sharing my own perspective as I ‘opened’ the parcel, too! From the comments I have been receiving, I can tell I succeeded and once again I am full of thankfulness to JKS for giving me this opportunity to experience a magical parcel which is still giving me JOY long after it’s been opened! For starters – I hadn’t completely sorted out everything which was waiting for me – tomorrow as I anchour my #WaitingOnWednesday posts together – you’ll find out something quite wicked indeed! Being within the final three stories which are giving life to #ChartonMinster is a bit hard to swallow, as I felt so dearly attached to this beautifully conceived multi-generational war drama by Ms James; finding out there are ONLY three stories left before it all concludes was quite heart-breaking! Even though – yes, being a reader who LOVES serial fiction, I know series eventually have to come to an END; problem is, it’s the ‘letting go’ part which I struggle with most! And, lest anyone asks me about how I feel about The Clan Chronicles ending SOON. Oy. Heavens, no! 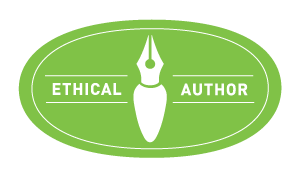 (*) Regarding serial fiction I was inspired by this post via The Bookish Libra! There is a whisper of a nod towards Dorset winding through the opening chapters – it’s the setting of Cat’s supposed wedding but it isn’t until she arrives to meet the people behind the wedding of her dreams giveaway where she meets Rosie Denham – a twenty-something assistant to the forty-something executive in charge of the arrangements. This is the moment where the past and the present start to collide and bend through the continuity Ms James is infamous for in the series. In the Historical side of the series, everything is centred round the Denham family – as there is a strong presence of multi-generational connections – where the parents and the children are inter-connected as is the small community in which they are living. Even during the Land Girl generation, the family, friends and neighbours were strengthened through their close connections, however, as the series shifts forward into the latter half of the 20th Century (told through flashbacks to help pull forward Daisy Denham’s story-line) and the early start of the 21st Century (post-Harry Potter, as this is one critical reference to ‘when’ this story is set) we start to see the disconnections between family and community. In this section of the series, we’re meeting two people who are at a proper cross-roads of their lives – where they can either turn right or left (cheekily this reminds me of that particular Doctor Who episode) effectively altering the course of where their path could take them. They aren’t even sure if they want what they thought they wanted out of life (ie. marriage and a steady life partner) as everything has gone quite sour in that regard. Yet, they aren’t quite able to ‘pick up and start anew’ either. Owning to the emotional upheaval of bad endings to relationships you never knew were one-sided. I even had a smidge of a taste for what is going to greet me in Girl in Red Velvet – as Rosie Denham (in this story) is Lily Denham’s niece! You see – for each new turning of this series you get another glimpse of how Ms James has knitted it all together into one luscious saga! Sorting out the proper sequence to the STORIES w/in #ChartonMinster was a blessing, too! One which I credit for having Ms James available to contact and work out the particulars! I find most authors are approachable when readers and book bloggers have questions to ask about their stories and/or their series, as the case happened to have been here. Without being able to touch base with her ahead of moving into the novel itself, I think I might have lost a bit of the rhythm, as you will denote on my review – finding out the right sequence of which story alights ‘when’ in the timeline of the series itself made all the difference as there is a wrinkle of an issue if you look at this series from a publication sequence! Honestly – what can I say? If you love seriously well-threaded war dramas which step inside a Contemporary setting lateron in the second half of their sagas, you dearly should consider #ChartonMinster! If you love war dramas in general – you will want to dig through my Story Vault – as I find some of the most incredible ones to read! Kindly leave me notes on those stories which spark a light of interest – as I’d like to know which ones resonate with other readers, too! I read another war drama by another ChocLit author soon after I put down The Wedding Diary; which of course was Where Dragonflies Hover. This one was so very evocative and aptly illustrating the hardships of life of servicemen and women, it’s right in-line with my favourite finds for war dramas, as Ms Brear and Ms James both excell at painting you directly into the heart of war. I did have a few issues with this one in regards to medical details however outside of that key issue, this was an incredibly layered story which felt a bit fuller than it’s stand-alone status! A nod of gratitude to Ms Brear – as generally speaking, I have quite the sensitive heart when it comes to terminal illnesses in fiction, so much, I cannot generally attach myself into those narratives (see also Post). What differed in this novel was both her approach and how she focused in on her character’s intention to ‘tell her story’ if only into the pages of a diary; lest the information she had to impart inside it be lost once death had claimed her body. Allie had such a fierce spirit about her – all-knowing of the truths between life and death; of the living and the striving to overcome the horrors of war whilst humbled to not regret the absence of hours to accomplish what needs doing. She simply set her mind to task and carried it through; there is a lot of courage etched into this novel and it’s how Ms Brear wrote the story, I admired most of all. Champion! Brear asks a good question – who saves the souls of the medical staff? For they serve the soldiers and wounded but who in return helps to address their own mental health and considerations? Who can help rally their morale (outside of each other) and help them find a way to heal from their battle scars of the psychological kind? I have oft wondered about this myself – as they give so much of themselves, not just in duty and in what they have to face in conditions that are not even prime for medical emergencies but in how they forsake their own health in order to serve others. It’s a credit to those who have the calling (ie. doctors, nurses, orderlies, support staff and even chaplains) who can find raw strength during incredibly adverse conditions. I truly liked how she even chronicled the mental health issues of the servicemen and of the women who served alongside the doctors who tried to save the wounded. It’s not always discussed in war dramas – sometimes it is merely hinted at or glossed over in certain bits, but Ms Brear shines a hearty light on the issue directly. She allows the reader to determine the response needed and of how there are gaps between what needs to be done and what is done – granting a very humble and realistic approach to a difficult era and topic of interest. I honestly felt as if I were in France right alongside Allie – for me, that is the critical mark I’m keenly looking forward to finding in a war drama – as if you had lived the experience yourself because there is something incredibly honourable about how some writers tap into these stories which give back a level of honesty and honest appreciation for the men and women who serve. Their stories and their lives are never forgotten but are always honoured in memory and in acknowledgement of their sacrifices. Robb has created a thinking man’s mystery – you have to peel back the layers (as you would an onion) to sort through how she’s drafted an intellectually intriguing tale. Having learnt her prior series #OwenArcher is interlinked into the #KateCliffordMysteries I must admit, the idea of back-tracing through the prior series to re-enter into the latter is going to be wicked sweet fun! (as foresaid on Twitter; the tweet is below this review) One reason I love reading Mysteries (and Suspense or Thrillers) and watching them is because of the exercise they give your mind! I find them as challenging to undertake as a stellar crossword! The intricacies abound and it is by moving in the directions the writer wishes you to traverse you not only gather the evidence along with the sleuths on the page but you draw closer to understanding how the mind of the writer first conceived their idea which is keeping you up late and musefully happy for the experience of reading their story. For me, Robb not only entertained me from the stand-point of a new chapter of understanding of the Middle Ages (as she threads the everyday politico very well into the backbone of her series foundation) but she grants you licence to step with a certain bias of interest to see Ms Clifford succeed even if her methods are not entirely on the level of what you’d expect a woman of her status to choose. As you can gather – I was instantly a fan of how Robb chose to create the backdrop of her series through the eyes, ears and heart of Kate Clifford! She’s a remarkable young woman at an age where not every woman shares her independence or a willingness to dig themselves out of not just debt but the after effect of losing one’s husband far too soon. Realising I get to have a bit of a challenge ahead of me whilst re-reading this series after reading her forementioned Archer is more folly for my curiosity! For now, I am simply content in observing how Kate Clifford handles herself and continues to find the stability her life sorely needed! The following stories were sent to me in exchange for an honest review by either the publisher or publicist. The exception being ‘Allie and Bea’ which although received by the publicist, I won this in a publisher’s bookaway without obligation to post a review. This is why I never fully close the door on an author whose writings do not first resonate with me unless of course, sadly I cannot find a footing inside their stories (past, present nor future). I try to give every writer the benefit of the doubt – maybe one story isn’t my cuppa, but perhaps there will be another which is? In this way, I was truly excited about seeing her second novel being featured on a blog tour of it’s own and blessedly, I was able to be on it! Watch for my review on the 23rd of July! I am beyond excited to be reading it this week! You might have seen me tweeting about Allie and Bea or if you were visiting the blog wherein I participated in the publisher’s bookaway you might have seen my comment about the thematic within the story itself (see also Post). I also mentioned this title part of my participation in #20BooksOfSummer. However, the reason I included it here is because I still remember the euphoric joy in finding it in my postbox! There was a moment where I thought I had lost the chance to receive this novel (which led to a purchase REQ at my library; they did purchase it, too!) which is why – the day it arrived, I literally was jumping out of my SKIN! I was so overjoyed! My second novel by this author to read and the second for my personal library – one day I know I’ll have them all lined up on my bookshelf but until then, I celebrated this second one coming home! It just felt kismet this story crossed my path the Summer I’m reading Worthy! A bit of trivia: I did gravitate towards Amazon published authors either via Amazon Crossing or Lake Union until the day Ms Hyde’s novel The Language of Hoofbeats (see also Review) crossed my desk! This novel changed my whole perspective about the publisher and has led me to some wicked awesome stories as a result! Sometimes all it takes is one STORY to give you a new appreciation for something you either overlooked or in my case, were avoiding (on principle) but evenso! If I hadn’t read this one (ie. Hoofbeats) I wouldn’t be reading a seriously dramatic Historical Fiction novel which is so enriched by how the author is telling the story, I feel wholly consumed by it (see my forthcoming reviews below: The Woman Who Breathed two Worlds). Never say, never dear hearts! I also have a Lake Union Authors List via Twitter; generated a bit too late to participate in the 1st Chat they hosted but it gave me a heap of joy to find each of them after the fact! Be sure to check it out! Similarly, I now listen to audiobooks via Audible whereas previously I had avoided the platform. Sometimes our first impressions are wrong and sometimes, it’s the stories which lead us to see things differently after some time has passed since we first made a decision one way or the other. After all, I’m not the first girl to ‘change her mind’! Laughs. The Dream Keepers Daughter was inspired to be sent to me by my ruminations on behalf of The Fortune Teller (see also Review)! Isn’t that wicked amazing!? This was sent to me by JKS – as you know (especially recently!) I’ve been mentioning here and everywhere how well they understand the book bloggers they work with – and this is another prime example of how well they understand ‘me’! I am so itching to dig into this novel but I have a few things to read ahead of it, but when I do! Ooh, I am seriously hoping I’ll find what I found before when I dig into similar stories within this particular sub-genre niche of when time spilts into different time-lines – a wondrously engaging prose!! This will be the second Dancing with the Stars personality whose written a book I will be reviewing, as I have some news next Sunday about the first dancer I am reading about – this week, I wanted to celebrate the arrival of Mr Galloway’s book because I was so wicked excited I could request it for review! Ever since he was on the ballroom dance programme I have wanted to learn more about him and about his life’s story. He’s truly an inspirational bloke – from his attitude about what happened (when he was injured) to how his life is evolving after he retired to keeping adventurous and never backing down from what he wants to do! I felt if anyone would have an incredible story to share, it would be him! Not to mention the fact, his dances were some of the most beautiful I ever saw on the series! I stopped watching the show either the season he was on or one shortly thereafter; I just didn’t see the point anymore. They were changing the framework of the series too much for me and the commentary was getting too harsh for my tastes. In all honestly, I felt it had had it’s day to shine and now needed to go off the air. The best part though was seeing him dance and watching his entire spirit light up as he did the different combinations and techniques he had learnt! Although I haven’t seen an extensive amount of films starring Elvis, I have seen a few – each of them impressed me more than the last, as I tend to watch his dramas! He had a dramatic presence on camera and his acting was compelling too (at least in the roles I saw him in; sadly I don’t remember which ones!). I had known vaguely about his appreciation of Gospel but I hadn’t explored this side of his life – I grew up with the music everyone fondly remembers being his ‘signature’ style but what left me curious was the ‘other’ side to his personality and to his heart. When I read the premise behind this release, I thought for the first time I might find some unanswered questions being explained and perhaps even, discovering a bit about Elvis I never knew, as I had a feeling for a very long time there is more to the man than what the public ever knew. Ms. Chatlien is one prime example of an eloquent wordsmith who is a dedicatedly passionate researcher of her book’s subject, setting, and tone! She is one of the writers I am thankful to uncover for her guiding hand with witticism and cunning turns of phrase which bolster the novel’s setting within the era in which the story exists. The elaborate and delicate attentions to details, to endue the genteel society’s preferences of colours, textiles, and surroundings allows your mind to sink into the artistry of the story’s set decorations as much as the words of the author’s palette. I am always championing the writers who take such a decisive hand to interweave such realism into their historical fiction novels which impart a duality of purpose: a slice of a historical antidote set to life in fiction and the intimate portrait of a living historical person lit inside a biographical fiction. Appreciators of stories like these will find a balm in the wind whilst making sure their settled into a comfy chair to whittle away the hours enraptured in a time portal back into the 1700s! This is a uniquely different Historical from her debut novel, but what I admired most about her writing is how she honoured her subject and era. She truly dug in deep and alighted the reader into the timescape to where you never had to second-guess where you ‘were’ nor what was happening round you! This new story had me ‘at hallo’ as there is something remarkable about stories such as these – of how strong the women were who were taken and of how sometimes, certain circumstances provided an incredibly remarkable survivor’s story after everything resolved much, much lateron! I know it’s going to be as gutting as The Spirit Keeper (see also Review) but a story I very much knew I needed to read! I have been keeping my eye on her website over the years, but somehow, I simply missed the updates about her sophomore release! It is interesting as this is something that continues to happen – I either miss the news arriving on authors’ sites or somehow I forget to go back and miss a few releases between the first story I read by them and the current ones they’ve recently published. I’ll be exploring this conundrum next year as I celebrate my 5th Year but for now – oh! Imagine my glee in being able to read Ms Chatlien’s second novel!! I was so wicked happy finding out she was publishing again – I took to Twitter and started to send off s/o just to help spread the word! (see also Tweet) My review of Blood Moon is coming on 1st of September with an interview with the author on 7th of August! Betrayal at Iga has been a story I have wanted to devour ever since I finished reading The Ninja’s Daughter (see also Review)! This is an author I was so very excited about finding whilst accepting Blade of the Samurai (see also Review) for review on a blog tour – it came with a bonus: I was able to receive Claws of the Cat (see also Review) in order to better understand the continuity of the series but also, to see how Ms Spann originally drew her lovable characters together! I was honestly attached to this series the first moment I met Hiro and Father Mateo! Ms Spann keeps you keenly invested in being aware of not only the current plot thickening before your eyes, but the concurrent story-lines which came prior to the one your reading! You have to keep observant and the wicked challenge is piecing all the lovely clues together which add into the depth of where the series is grounded. I love finding an author whose symmetry for carrying a series forward is never overshadowed by an installment but rather brightened by how all the stories within the series broaden the appeal of how far reaching the series has become! It’s a special treat, as you get to dig deeper into the background of where the Hiro Hattori novels are set and how everything is fused together properly through the characters who populate the series directly. I fell in-step with this installment with the grace of remembering the previous stories, alongside the causal familiarity of the lead characters as even their personable quirks of manners or behaviour were easily observed now! I like reading serial fiction for the extension of spending time inside an author’s imagined world but the treat is finding authors like Ms Spann who make returning visits as lovely as this one has been for me! Even noting the guards at the bridges and gates in the city was a fixture of my memories, as one thing I learnt quickly is your mode of transportation is nearly always by foot but your freedom of movement is never a guarantee! Spann etches in lessons of mortality and a fine line of ethics into her stories, which is one reason they appeal to me as much as they do. She doesn’t just want you to read a mystery for the sake of it, but to truly think about the complications each crime brings to the community or have one death can involve many different lives in ways that is not as easily to see from the offset. It is this attention to the details that grants you the joy in reading the Hiro Hattori novels – each story is a further glimpse into the evolving story where the fuller arc of the series begins to bloom forward into view. These novels have become such a part of my life, it’s hard to think about when I hadn’t known Hiro and Father Mateo! They are definitely as real to me as any other character in a story or series you simply cannot wait to re-visit and continue to get to know! This series has been evolving towards a climax and an increasing alarmingly situation for both lead characters as there are hidden dangers ‘everywhere’! The fact Hiro can help the priest is a special situation given his current status as a ronin and the priest being in the precarious position of being in Japan during a time where his presence was unwanted! I cannot wait to dig straight into this installment and sort out what IGA has to share with me! If your keen on Cosy Historical Mysteries inasmuch as I am, this definitely should be on your radar! Be sure to start at the very beginning though! If you don’t you’ll short-change your experience in getting to understand the foundation of how the series began but also, the growth of the developing friendship and bond between Hiro and Father Mateo! 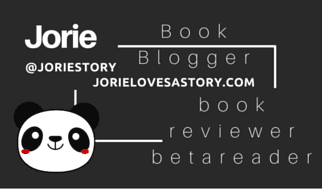 To keep an eye on my upcoming reviews, kindly visit my Bookish Events! I had such an interesting beginning with The Crowns of Croswald, as I spent such a long time thinking the original site had been dismantled only to find out lateron (after my #unboxing post published!) it had simply been re-filed and moved a bit from loading as soon as you alighted on the site itself. From that moment forward, I felt a bit renewed by my original jest of joy in discovering this author’s imaginative world-building. However, it is quite true indeed – I had a lovely day of knitting to help me re-align back into the author’s world – shaking off any remnant of disillusion I might still have had left in me. Knitting can solve a lot – as it’s such a moving mediation! I love finding myself lost in the stitches and the patterns of how the stitches knit onto the needles – it’s meditative harmony for me! I had to move my review for A Twisted Vengeance in order to compensate for the hours I lost to read recently whilst wanting to feature this review as close to my author’s interview as possible! I had a lot of fun pulling together the questions for Ms Robb and being this was a series I had discovered prior to the blog tour itself – I cannot tell you how thankful I am to have been able to embrace reading the series this Summer! I even sorted out a few things whilst conversing with the author on Twitter – including how she’s left behind ‘Easter Eggs’ for readers – herein this refers to a film term where films can have hidden secrets revealled to watchers who are in-tune with what is being presented on screen. In this instance, it’s the fact there are secondary characters and other ‘winks’ and ‘nods’ of inclusion coming out of Ms Robb’s first series (?) moving into the Kate Clifford Mysteries. Having only read the latter series, I had mentioned I’d like to take up the challenge to pin-point these ‘other’ inclusions whilst one day re-reading the first series and then moving into the Kate Clifford novels. One day! Likewise, I had somehow misplaced the #PubDay for When The Future Comes Too Soon – I also found myself quite fatigued and dealing with the after effects of my recent illness, to where I could not read these novels as quickly as my heart intended too! I had to take it slow and easy – as I recuperated but also, as I could allow my mind to settle into the narratives themselves whilst extracting out the beauty of what was left for me to find therein! After several revisions of when I could post my reviews, I settled on running the first story on [Friday] and the sequel to run either on [Monday or Tuesday]; all of which happily remains within the first week of the new publication of the sequel! Despite a small hiccup on Twitter in being caught up in the moment of talking to the author, wherein I accidentally inverted her name, it has been a true pleasure and honour to ‘speak to her’ as I’m reading her stories! I was thankful she was understanding in the matter and no harm was done. I did not mean any offence and I was thankful none was taken. The joy for me is letting her know as I read how moving her novel is to read and why I feel so attached to her characters! I love giving back the joy I have in reading stories to the writers who pen them; for me this is the best blessing about Twitter! Although I am showcasing Ms Night’s story this week, on the foot-heels of showcasing my joyous adventure #unboxing a book parcel celebrating the world she created, I’ve had a few books sent to me by JKS on my bookshelf for quite a long while now. The key issues of course rose out of personal strife and health issues therein stemming from the past year – some of the circumstances are loss to me now – although I regret I believe my migraines were part of the delays and I know my father’s stroke and my Spring allergies also played their part, too. I felt re-inspired to start blogging again during the Spring months this year, however, it was not due to lack of will which delayed them from being written. It was simply a matter of finding a way through the allergy season which rendered me unwell. With the start of July, things have continued to turn around which is why I am happily able to say, all of these lovelies will now be read and reviewed! I am most excited to finish reading Such Mad Fun and Indy Writes Books as both have been in various stages of being completed! I am most fascinated by the early history of Hollywood – initially I had hoped to hug my final readings of Such Mad Fun to my readings of the Edith Head series by Renee Patrick (see also Reviews) – except to say, I barely made my way out of them before my allergies took over! I still remembering how oft I was sneezing towards the conclusions of the mysteries whilst dealing with itchy eyes which made seeing what I was blogging quite unique! The publicists at JKS never fail to surprise me by understanding what interests my bookish heart to read! Honestly – somehow they have read my Review Policy and sorted out exactly what I had hoped a publicist might understand! When it comes to Indy Writes Books – the joy is simply the unexpected! Similar in vein to why I love reading Nebula Award Showcases (see also Reviews) due to how champion it is to arrive inside a short story, a novella or a poem without even realising what your going to find in one of these anthologies! I will be posting my reviews of both Such Mad Fun and Indy Writes Books this last week of July! The joy for me is awaiting their notes inside my Inbox and seeing where they are going to take me next within the literary realms! On the 12th of July, I caught sight of a bookish friend of mine revealling via her lovely blog her debut Poetry collection is NOW LIVE to the world! She Self-Published the collection via LuLu.com wherein I was sorting out the details of how to understand the s/h charges at the time of my first response on her announcement! Since then, I am wicked happy to announce my copy of her debut book is already INBOUND! I was most surprised by how easily it is to order via LuLu and how inexpensive the s/h actually is for POD printed books! More than anything though – to be able to order a friends’ debut book within days of finding out it’s been published is the BEST JOY I have to share with you dear hearts!! I am including the tweet badge I created for Lianne which can be RT / favourited to help spread the world of her #PubDay!! On the 11th, I found my latest #bookphotography on behalf of my readings of ChocLitUK Romance novels became quite a bit popular if you note the number of RTs / favourites! This delighted me over the moon because I was sorting out how I can start to photograph the books I am reading for ChocLit whilst acknowledging the ones I’ve already read and adore! This is a new style I’m working on exploring where the ‘background’ ChocLit novels will rotate and alternate as I progress through setting up these stills of the books I am blessed to be reading by the lovely UK Indie Publisher who gives me so much bookish joy to be reading! The little heart chocolates you see in the photo? Those were sent to me with my latest #bookmail from ChocLit! I didn’t always receive chocolate with my ChocLit (like the bloggers who live in the UK) however, seven months ago when I received #PocketChocLit (ChocLit’s pocket sized novella print editions – you can spy one of them Only True in Fairy Tales behind #BookAngelCate) I received my first chocolate, too! Such a wicked #bookmail day – not just finding sweet new ChocLit editions but to have the luxury of having chocolate on hand whilst reading ChocLit! All in all – this came together so well and I was wicked happy it was well received! As I wasn’t sure if I was going to receive this title as the blog tour unfortunately cancelled (last minute) and I couldn’t remember if I had asked to receive this for review consideration directly from Seventh Street Books (it’s been a difficult Spring). Finding this book in the Post – ooh, my goodness! As you can see, I couldn’t even wait to share my JOY of it arriving! I even took the picture right there in the book parcel it arrived in to show that sometimes you just cannot wait to unpack a book before you let the world know how *excited! * you are for the next installment in a SERIES you already LOVE! The interesting thing about selecting to participate on the Anne of Green Gables audiobook tour is it allowed me to return back to Green Gables! I have been wanting to re-visit these stories for so long, it is wonderful how this tour inspired me back into the folds of where I once knew Anne so dearly well! It is also coinciding with a book blogosphere event: #AnneReadAlon2017! My first review is forthcoming quite quickly, within the first week of August and then, following each week thereafter for two more weeks is a review of the next two stories in sequence! After I conclude my listenings of these audiobooks, I’ll pick up the story in my thrifted boxed set of Green Gables; thus being able to continue to join in on the #readalong whilst adding a bit more Classics to my current readerly queue! All of which is helping me get back into ‘Jane Eyre’ by September – as I truly want to read the ‘after canons’ shortly thereafter! When it comes to Prometheus Books – the best blessing is being able to get my geek on and tackle inspiring texts which highlight key topics and subjects in both Science, Philosophy and Sociopolitical narratives which are pertinent for today’s reader to become acquainted with as we live in such a dynamically unique age! These three selections in particular each sparked an interest to read for a different reason: the one about our mind and the manners in which we understand Cognitive Science & Neuroscience is a new focus of mine – even before my father’s stroke, I was seeking out this cross-disciplinary focus as I have felt curious about these fields for awhile now. Leading out of this reading, I want to dive directly into Seeing What Others Cannot See, as it parlays on theme by taking it a step further – dyslexia is part of the topical discussion – about how dyslexics see the word through a different pair of eyes (which I have observed myself through my own dyslexic eyes) and how different perspectives can lend themselves to different understandings of the world. The third title – is quite important as it draws attention on how multi-ethnic and multi-cultural our world is becoming – I felt it was always this way, as I grew up in a metropolis where I would lament was dearly diverse in population not just religiously but through cultural and ethnic identity. This book There Goes the Neighbourhood is attempting to take a close-look at a new cross-section of population densities and re-examine the concept of a community and neighbourhood which is constantly in flux and transition of blending more cultural, ethnic and religious identities together. In essence, I appreciate reading titles by Prometheus Books because this Indie Publisher is not only informative but they inspire us to THINK. Their books are a well of inspiration and constantly renew my curiosity to learn more and seek out more information about what interests me per each field I find fascinating to research. They are truly a publisher for the lifelong learner and the curious mind. Read the bookish & readerly challenges which I fancied to join this year and honestly haven’t had the time to devout attention since the day I organised this List! Oy vie. Dear hearts, for those of you who follow me via Twitter – you might remember this *thread I created where I was attempting to get VOTES for my first ‘which audiobook should I listen’ Poll? The results were quite lovely all way round – including having a bit of chatterment in-between the votes coming in which delighted me immensely as I was enjoying gaining a bit of insight about what other readers felt about the stories I had selected to listen too. However, one thing which has been driving me bonkers ever since I concluded the poll itself is I literally haven’t had a chance to ‘listen!’ to The Chaperone! This was my selection for #AudioBookMonth’s #AudioBingo hosted by the Audiobookworm – however, the hours just clicked off the clock too quickly for me to even broach the audiobook itself! I am sure by now it’s already boomeranged itself back into my library’s OverDrive catalogue, too! Sadly, I haven’t even been returnt since the day I first borrowed The Chaperone! As you might have also seen dear hearts, I haven’t even had the proper chance to dig into my #20BooksOfSummer! I have Worthy and Allie and Bea patiently awaiting me on my bookshelf – as I re-arranged my shelves to reflect the Adult Fiction selections which are the ones I picked for this particular spontaneous challenge – vs. the Children’s Lit choices which are arranged two shelves up from these which I am reading simultaneously. As far as progress is concerned, the most progress I have made to be honest is visiting with other participants and finding out which books they’ve chosen to read themselves. I updated my route of visiting these bloggers on my #20BooksOfSummer hub page – wherein I shall be providing future updates as well. I was able to get back in touch with the blogger (Jamie) who wants to read three of the books with me in a bit of a spontaneous readalong which will include: Pretending to Dance, Pretty Baby and As Death Draws Near. We’re slating it for the end of July / start of August – which yes of course, means I need to get my druthers together! We’ve decided to read Pretending to Dance ahead of Pretty Baby, and I am hopeful by next Sunday or the one thereafter, I can update I’ve not only started reading this novel but have made progress with Worthy! I am hoping whilst I have a high yield of reviews populating my blog this coming week – I’ll be able to spend the last week of July shifting between my #20BooksOfSummer and the books I’ve wanted to read during the months of Spring where my allergies truly grounded all efforts to make any progress in my reading life. During the last check-in with The Classics Club, I was talking about wanting to find a way to dive back into my Classical readings as I have honestly fallen dearly behind even the smallest goals I had set for myself! I wasn’t even sure which era I wanted to read or which style of story I was open to reading – honestly, it was one of those moments where you take a chance, write a note into the void – and see what becomes of it! I was completely humbled and surprised by the response I received by a fellow Classics reader who not only has a kickin’ awesomesauce blog of his own but he had the best notes to share with me about the reasons why I should read the books he was suggesting as my ‘next’ Classics adventure! If you’d like to visit & add your comments, I’d appreciate to know your thoughts! Meanwhile, I will be responding to recent comments before the weekend. For those who are new to visiting with me, whenever I host a Book Spotlight, I give either notes about why I want to read the book being showcased or explain why the book won’t work for me as a reader. It just depends on which story I am spotlighting and for the reason behind the Spotlight itself. I never just post the Press Materials though – every post has an anchour section to it and a reason behind why the post is being featured. In the instance of Between Sisters, I turnt a review into a Spotlight to draw together a discussion about what emotionally triggers us as a we read & why sometimes stories are simply not our cuppa and why that is alright to be honest enough to admit when it occurs. We, (Mum, Dad & I) were not certain what to expect – either he would need surgery again (oy!) or he could get a green-light to wait another six months and have a re-check at that point in time! As you can decipher from my tweet, he’s been green-lighted! We’re overjoyed – as not only does this help with Dad’s continuing recovery post-stroke but it is one less thing to worry about for the rest of  as he doesn’t see his surgeon until ! I felt lighter somehow – all the anxiety and worry about having to go back round through everything we had gone through in November and December wasn’t something we’d welcome but it was something we knew how to handle and survive. We’d face it together – head-on, but today, the relief was knowing we didn’t need too! We can continue onward and upwards without scheduling a hospital stay! On a personal note – I think it will help my nerves – as here was this ‘cloud’ hovering over us. We almost were counting down the days until this appointment – as how can you guess how’d it go? With my Dad’s recent set-back in BP levels and the mess with his BP meds taking their toll on him and us (as it was beyond frustrating!) – getting good news days after his BP starts to re-regulate itself on the new medicine felt wonderful! We also don’t have to worry as hard about what is ‘unknown’ as the questions were answered today and our concerns were withdrawn. It’s always a good day when your surgeon is both chipper and wonderfully happy for you – to see your progress and to know your out of the danger zone! As you might have already inferred from the emojis I used, without prayer, my family wouldn’t be as strong as we have been getting through these past few years since my Dad’s health first started to take a turn for the uncertain back in . It’s been a long road and a long path back towards solid ground with better wellness and without the dangers of set-backs. You have to adapt as life ebbs and flows; there has always been a heap going on ‘behind the blog’ as personal strife and adversity doesn’t take an absence whilst your finding your feet in the book blogosphere! lol I am just thankful this chapter on my Dad’s health had such a positive takeaway and seeing the doctor happy someone made me want to smile even more! The STORIES I cannot wait to READ myself as found via the blog hop! And, the POSTS I loved finding via this lovely meme’s route! I attempted to leave commentary on each blog as I first arrived. A few I had to re-visit lateron to leave a note and others I tried to find via Twitter to help promote their posts although not everyone was tweeting their posts. Books, Vertigo & Tea | Heartless + a new ones I haven’t seen previously! Comma Hangover | Lisa Scottoline is on my TBR; The Girl Who Drank the Moon is too! Book Dilettante | Fellow Cosy Mystery Lover! Because Reading | spied a Historical I want to read! Avalinah’s Books | There’s a prequel to Practical Magic? Lola’s Reviews | I have missed visiting her blog! Nick & Nereydas Infinite Booklist | a wicked cool co-blog! Wishful Endings | I keep noticing we gravitate towards the same kinds of stories! Booklover Book Reviews | Another Hiro Hattori appreciator! Finally finding readers who are in LOVE w/ this series! I definitely LOVE #TheSundayPost!😄Esp as I'm going to sort out how to write this one weekly + either turn WWWeds into bi-monthly or monthly! The Clan Chronicles | a book blogosphere celebration! One of the things I love about your blog is that you are so enthusiastic about everything and so positive. Also you seem to read so many books I’ve never heard of! Glad to hear the good news about your dad! I was humbled by your compliment – I try to focus on the good in life, even if my personal life is a bit upturnt; we all have stress & struggles to transition through but I try to return to a place of joy; of finding a way to balance life’s (unexpected) adversities with the happiness stories give me as I read their narratives. Writing my posts on #JLASblog has been such a saving grace – esp during the past four years – to read a compliment like yours, truly warmed my heart because you gave me insight in how what I hope to translate through the words I ink into my blog are being received as I hoped they would be. Blessed to hear you say this – about my Dad – it was an incredible moment of relief knowing your prayers were answered and you can step back a bit from the worry on your mind and heart. I truly appreciate your kindness in responding to this… I’ve been blogging about my Dad as I’ve been able too and sharing what I felt might help others who are going through something similar. As stroke is one thing that comes out of the blue, blindsides the person and the family but is something you can not just survive but you can recover your health afterwards. The key is keeping calm and focusing on the root cause and attempting to nullify it from happening again. Truly uplifted my day reading your comment – I have re-read it several times & shared your sentiments with my parents! So nice to meet you. ;) I have to agree that coming up with a post every Sunday is a little difficult. Sometimes I think that I might be repeating myself, and truthfully nothing really interesting happens to me every week. LOL But I soldier on and I write one, just because. So happy to see that you’ve decided to do it. Allergies are a bummer. I never used to have any until I moved to Texas. But we have to do what we can, thank goodness for medicine. I can see why you were excited that I mentioned The Dream Keeper’s Daughter and Betrayal at Iga. That’s awesome that we both have them. :) I just finished the former and will post my review of that next week. All I have to say is: WOW! Can’t wait to read your thoughts and discuss them. What a happy surprise finding you on my blog earlier! :) I’ve been dodging the lightning all day – driving me a bit batty, as I’d rather be blogging but I can only get on for brief periods of time when the thunder is grumbling! Yes, it’s so very nice to meet you, too! I’m thankful we’ve started to get to know each other – as I was browsing your blog earlier, noticing we share a love of Historical stories, both host for HFVBTs (how did I not know this?) and blessedly, we both love Ms Spann’s novels! I know how you feel – there are some weeks I am unsure what to share or not to share myself – which is why my meme participation over the past four years has been rather hit/miss! lol I’ve become re-inspired recently through both #WaitingOnWednesday + #TheSundayPost to resume posting more in-between content; this one I feel fits me quite well, as much as #WWWeds and #BookishNotBookish. I think it’s healthy to keep challenging ourselves (with our blogs) and also, to keep re-defining our presence and how we communicate our bookish lives (if our focus is on books) with our readers and visitors. In this way, I am thankful to be getting to know new bloggers with the blog hops! Texas must be *brutal! * in the Summer!? Talk about your volcanic heat and those storm seasons – I might have heavy lightning and other issues with natural calamities but I give credit to those in Texas & the Mid-Western states in Tornado Alley! Goodness. The nerves it must take to deal with those storms yearly! Did you know? Sometimes allergies are triggered if you relocate somewhere else from the environs you were raised and sometimes, as in my case, those environs can come back to haunt you; as that is how I developed my allergy! :( Oy. Yes, thank goodness for the natural medicine I’ve been finding which not just agrees with me but works! I am hoping to move into The Dream Keeper’s Daughter next week or the first week of August; trying to get caught up a bit with my reading queues as I fell behind a bit whilst drowning in allergies! :( Aye. Yes, this is going to be quite wicked awesome – to be able to discuss the stories we’re reading in common & seeing how we were each feeling as we read them as well. Will we walk with the same takeaways or will the stories affect us differently? It will be a lovely surprise for us both – I’ll keep you posted on when I begin both of them! As IGA is one I want to read rather timely myself! I loved how you stated that: stalking my social accounts – it was a short step to click over too, as I decided to stay active on Twitter! I do pop up on Riffle + LibraryThing but mostly to organise my shelves or create Lists (ie. Riffle). I try to participate in the forums on both but it’s hit/miss for me. Know I’ve already started to shift through your feeds on Twitter! Thanks for the kind remarks for my week – I’m working on getting Croswald up on my blog tonight; Ms Robb’s second Kate Clifford mystery tomorrow and the fifth story I’ll be reading for Charton Minster on Saturday! Hope the books your reading are giving you as much joy as the ones I’ve been soaking into myself! Til soon. Sorry to hear you’ve been suffering so long from allergies and pollen! Thank goodness for those storms – hopefully no crazy flooding. Do you take an allergy pill, or considered seeing an allergist? I am supposed to receive allergy shots, but they are way too expensive, so I have two different pills and a spray for mine. What good news about your dad! How scary and dreadful waiting for the day of the appointment to arrive. I hope your family can breathe easier now. So good to see you! :) I actually love natural medicine – it took me a bit to find the right formula which worked for me, as pollen is a tricky beast of an allergy (mine is directly due to oak trees, ironic since I grew up with them!) but the other side of it is that our monsoon season was a bit delayed this year – now it’s hard to get the lightning storms to ‘turn-off’ which is upsetting my blog schedule a bit (oy!) but the beauty of the storms was the high levels of RAIN which washed out the pollen! Good for me, in that regard and blessedly no local flooding – though we did have some wild fires brewing for awhile… oy. I didn’t want to go the allergist route – mostly as I didn’t want to end up on a lot of conventional medicine as it doesn’t agree w/ me. I know my body & what I can handle, which is why I try to stay as natural as I can and find homeopathic medicines which seek to get to the root cause of what is affecting me. We all have to do what is right for ourselves. Oh, I definitely hear you! All medicine – both conventional & natural can be costly; which is why like I said, we all have to sort it out on our own and what we can afford. We definitely are! How insightful for you to realise that was our best takeaway: a lovely breath of relief! :) We’re doing much better now knowing Dad’s in the clear! It’s a bit overwhelming to be honest, as although stroke is something we’re familiar with having a loved one in different stages of recovery & being a stroke survivor is all new. I wanted to update my readers & new visitors about this part of my life as it’s been a part of my life for seven months. Thanks for cluing in to this and for giving me a hug of support! Likewise, if you want alternate choices for your allergies, I highly rec your local health food store – mine is a true blessing to have in my life. We have had extreme storms too! At least one person is happy about them (YOU :D)… It was pretty unusual here because we even got flooded. Well, not us personally, but I mean my city. Some streets, shops in the lower levels, some cars got in trouble. It never happens! That’s why it’s so unusual. The weather has been crazy! But I’m glad it helped you out. Unboxing?? What are you unboxing! Excitedly curious!!! I think you read this one a bit too fast! I did include the covers – minus only a short few – I wanted this to have a different feel and vibe compared to my book reviews, as it’s more of a ‘digest version’ of my week here on #JLASblog! Therefore, it’s a different format – I took book photography and then journalled underneath the book photos a re-capture of my thoughts and adventures whilst I was reading! The only covers not included are a short few: the ones for the “Reviews of the past fortnight” however, technically – only two are missing! Except to say, you’ll spy them in my “Favourite Tweets of the Week” as it’s the ChocLit novels! I do appreciate your feedback – you know, this, as you’ve been an incredible commenter for months now, however, in this regard, I wanted to assure you I’ve been sharing the covers through my photography whilst approaching this like a ‘digest news’ of all the lovely books I’ve been encountering! It took me awhile to sort out a ‘new style’ compared to my other posts – however, this is very ‘image heavy’ as it were, if I were to add more I think it would drag for most readers! I hope you’ll come back and see all the covers are here – their just being creatively shown! I do think you might be a visual reader – so maybe all the ‘journalling’ threw you off a bit? I’m sorry about that! Sadly, I was on IG for a very brief period of time – I deleted my presence on IG awhile ago – reason being? I could not upload anything and all I could do was comment! I didn’t warm to the format of IG either – so all things considered, I decided to stick with uploading my book photos & what others would consider #bookstagram photos to Twitter. That’s why I was posting about ‘hey, how do I tweet everyone on the bookish side of Twitter like you guys find each other on IG?” lol So, no, you didn’t miss me exactly – I just wasn’t on IG long enough to be found! I *will! * however find your feed and check it out! I love finding people on IG and of course, it’s loads of fun to see everyone’s creativity! Thanks for such a stellar comment! I will remember to tag you when I post this meme as I never know when it will go LIVE but hopefully, starting this coming weekend it will run on ‘Sunday’ rather than mid-week! Cheers! Also: the bottle from your ignoring. I saw a video with it from someone on IG :) it was BEAUTIFUL!